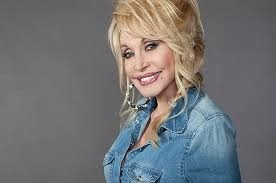 Dolly Parton has long been an intriguing artist on the country music scene. While her roots are unquestionable, it is perhaps the crossover appeal which has led to her massive genre reach especially here in the UK. No other artist steeped in East Tennessee heritage will attract the numbers to her live shows when the Blue Smoke World Tour hits these shores in June. This will be extended to the now entrenched oldie Glastonbury slot which I have never felt truly comfortable with, although the commercially savvy Dolly will embrace the masses waiting for their mainstream rock fix. Quite where Dolly Parton’s new material sits amongst her admirers is unsure and with this in mind, the UK release of BLUE SMOKE has been conveniently packaged with a re-released BEST OF compilation. 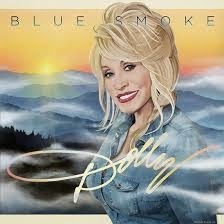 BLUE SMOKE is Dolly’s 42nd studio album and like so much of her back catalogue is put together with an astute cleverness.This ranges from a couple of neo generational duets with two other artists who she is following in the previously mentioned Glastonbury oldie late afternoon slot to some more curious cuts. Her duets with Kenny Rogers have been hugely successful in the past and the inclusion of ‘You Can’t Make Old Friends’ is going to be a sure fire hit on this record and also was released as a single last year. The other classic collaboration is with Willie Nelson on ‘From Here To The Moon And Back’, a fine song which melts two of country music’s most distinguished voices which, although a touch diminished by time, still possess that old magic sparkle. Two of the more interesting tracks on the album see ‘Dolly Does Dylan’ on the latter’s classic song ‘Don’t Think Twice’ and a spellbinding version of the much recorded traditional murder ballad ‘Banks of the Ohio’. Both these arrangements work really well and Dolly adds her own imprint on their legendary status. Another couple of decent tracks on the album have a definite contemporary twist to them with both ‘Home’ and ‘Try’ not sounding far too adrift from what you would expect from any number of female country performers 20 years the junior of Dolly. However not all of BLUE SMOKE works and the less said about the Bon Jovi cover ‘Lay Your Hands On Me’ the better as Dolly tries to stretch her appeal a little too far and suitably snaps. Also ‘Lover Du Jour’ has a cringe worthy feel to it which limits the effect of the track. However the other four songs are all Parton originals and show that Dolly can still be relevant with her new material and not be confined to a karaoke retro machine. The title track ‘Blue Smoke’ has a great feel to it and rolls along in true country tradition while ‘Miss You Miss Me’ has all the sentimental and traditional traits that over the years have defined country music. Of the remaining tracks ‘If I Had Wings’ gives the impression of borrowing its title from some other song but with implicit orchestrated fiddle develops into a highly appealing number. This review has saved the best until last as ‘Unlikely Angel’ in my opinion is the album’s unlikely stand out track. With all the structure of a Dolly classic and a soaring emotive chorus, this song blends the best of gospel with the roots infused origins of Dolly’s upbringing. It is tracks like these which still make the new music of Dolly Parton important and rich. BLUE SMOKE has sufficient depth and quality to match up well with the classic material but the coyness of the European twin release shows a leaning to what is perceived her fan base really wants. Hopefully amongst the populist stream a few of these numbers can make the set list this summer and keep the music of Dolly Parton fresh.